Do you have friends, family, partners or business in Israel and are you looking for an easy way to communicate with them? We recommend our Israel mobile number service, which is a number that allows you to make, receive calls and SMS as if you were present in Israel. Calls can be made and received through a sip terminal and the SMS received at your email address. When calling this mobile number, the person residing in Israel will pay the price of a local call or SMS and you will only pay the monthly fee, regardless of the number of calls or SMS you receive. You can also use this number to activate messaging accounts such as WhatsApp, telegram etc. 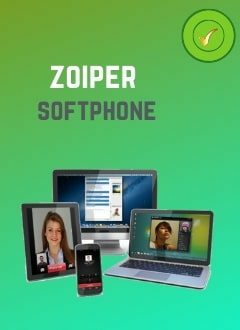 Mobiles: The zoiper and media5phone applications work very well, and are easy to set up. IP Phones: We always recommend our users the Grandstream or Gigaset VoIP phones. PBX: Can be used in any IP PBX (asterisk ...). Gateway: Grandstream adapters work very well. PS: Israel's mobile number can work in any sip terminal. We have only indicated here, the most used by our users. Do not wait any longer, sign up for your Israeli mobile number now and start receiving calls and SMS.